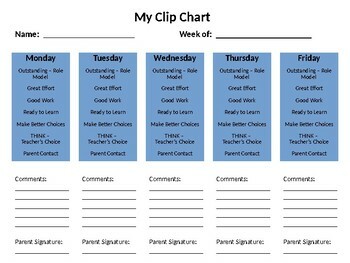 If you use a clip chart to track your student's behavior, take a peek at this resource! Communicate to parents/guardians each and every day by having students color in how their day was. There is also a spot for parents/guardians to sign and a section for the teacher or parent/guardian to write a note. Can be edited for different wordings.